1 Jan 1739 Bouvet Island discovered by French Capt. Jean-Baptiste Charles de Lozier Bouvet. renamed Liverpool Island (claim cancelled 1929). party to winter on the continent. Amundsen, are the first to reach the South Pole. New Swabia (Neu-Schwabenland) but not claimed. as a dependency (Norwegian Antarctic Territory). 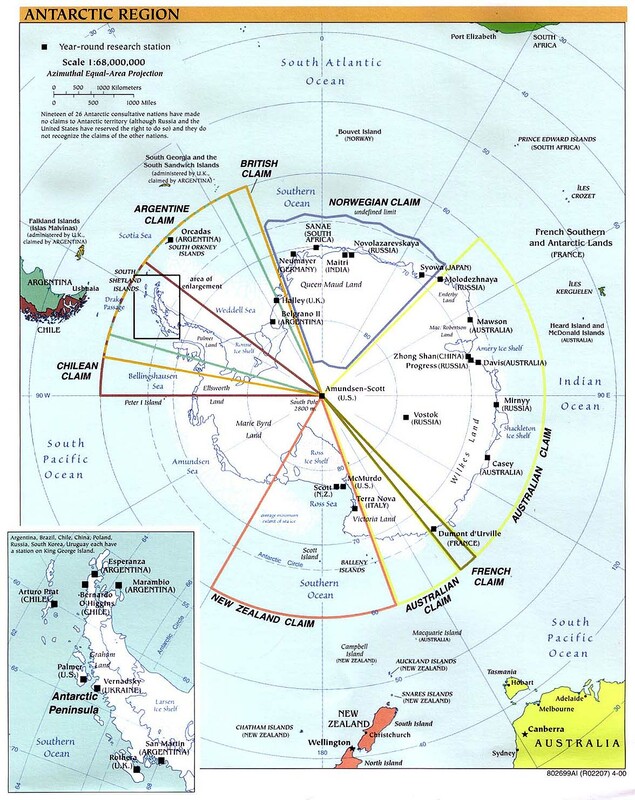 Territorial Dispute: Norwegian Antarctic claim is recognized by Australia, France, New Zealand, and U.K., but it is not recognized by the United Nations, U.S., Russia or by most other countries.